Few things in life are more therapeutic than spending a day lounging on a private beach while feeling the warmth of the sands on one’s skin. 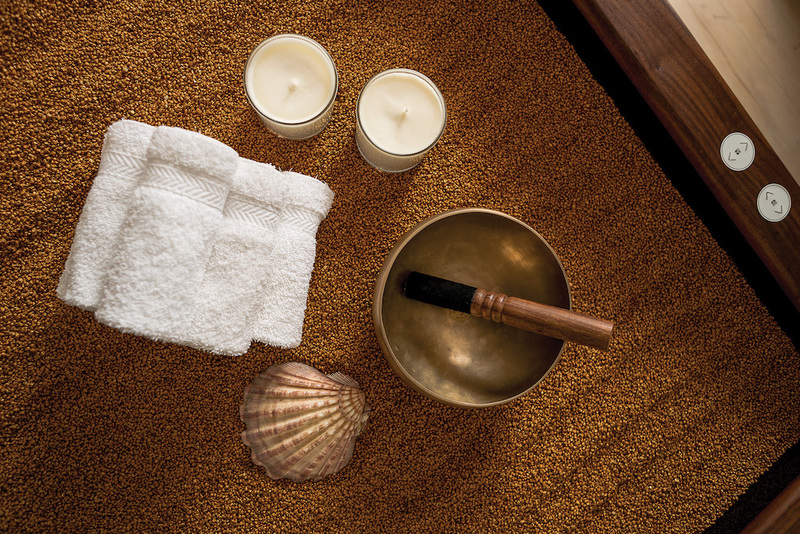 For those looking for a quick breather away from the hustle and bustle of the city, The Spa at Mandarin Oriental Kuala Lumpur will be turning up the heat in its spa treatment menu with the introduction of a revolutionary new treatment known as Hot Sand Therapy that promises to rejuvenate the mind and body using the soothing effects of warm sand. A first of its kind in Southeast Asia, this unique treatment derived from the ancient greek concept known as psammotherapy involves lying on a state-of-the-art bed filled with golden-coated quartz sand. 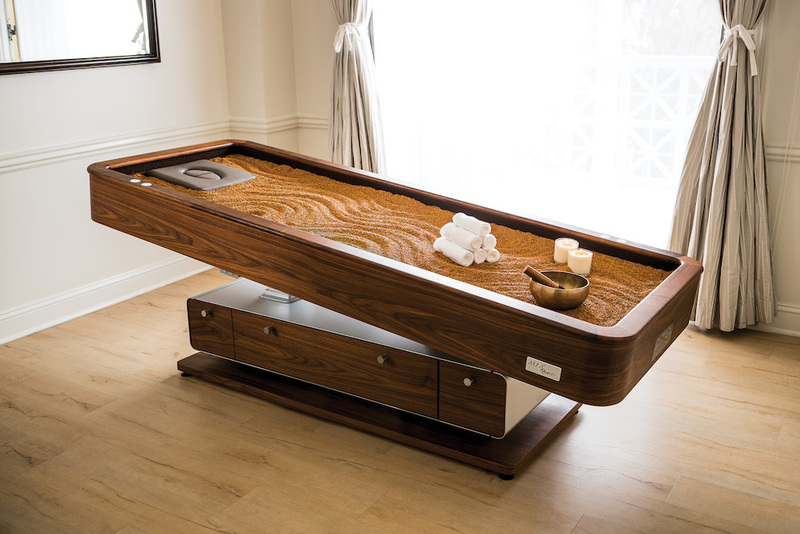 Designed by The Gharieni Group which is a leading European manufacturer of high-end spa equipment, the origins of this innovative device can be traced to the island of Ischia in the Italian Mediterranean where the creator’s wife sought relief for her back pain by immersing herself in the sands of the beach. After sharing her discovery with her husband, he was inspired to build a box-like structure with a heating unit that would then be filled with sand, ensuring that his beloved would always be able to enjoy the effects of psammotherapy. Available from now until December 31, the new Hot Sands Therapy comprises three special treatment packages to cater to one’s individual health needs. Those in search of the ultimate pampering experience, however, can look forward to embracing the Psammo Gold Serenity, an indulgent 180-minute treatment session that combines psammotherapy with Tibetan sound healing, myofascial release massage techniques, skin purification and a balancing bath ritual. Every psammotherapy journey at The Spa at Mandarin Oriental Kuala Lumpur begins in comforts of a private 80 sqm Psammotherapy Suite. Tucked away on the 8th floor of the hotel, this elegant haven includes a walk-in closet for stashing away one’s valuables; a spacious marble bathroom complete with tub and showering facilities; and a plush lounge area ideal for unwinding while indulging in light refreshments. Before the session begins, a soothing cup of ginger tea with a dash of honey is served to help alleviate any stress or tension. Packed with various nutritional benefits, the ingredients of this health tonic can also be found in the scrub which is applied directly after a relaxing foot massage ritual. Once the skin is polished to perfection, it’s time for a relaxing 15 minute dip in a warm bath infused with essential oils such as rosemary, lavender and ginger. The final stage of this memorable experience involves lying on the heated bed of warm, shifting sand as it gently massages from below while being lulled into a zen-like state by the soothing sounds of chiming Tibetan bowls. For more information and treatment reservations, contact The Spa at +60 (3) 2179 8772 or email mokul-spa@mohg.com.